Former Chelsea and Liverpool midfielder Raul Meireles scored a cracker in Turkey on Monday night. Playing for Fenerbahce, 31-year-old Meireles found the target with a picture perfect half-volley from just outside the box in the 41st minute. Meireles’ golazo was undoubtedly the highlight on a poor evening for Fener at large as, playing at home to Akhisar, the Istanbul powerhouse slumped to a 2-1 home defeat which drove a large nail into their title coffin. Akhisar’s goals came from Guray Vural (a wonderful 30-yard chip in just the 5th minute) and from former West Ham striker Ricardo Vaz Te in the 89th minute, following an assist from Lomano Tresor LuaLua. Fenerbahce are now third in the Turkish top flight, one point behind Besiktas and two points behind league leaders Galatasaray. 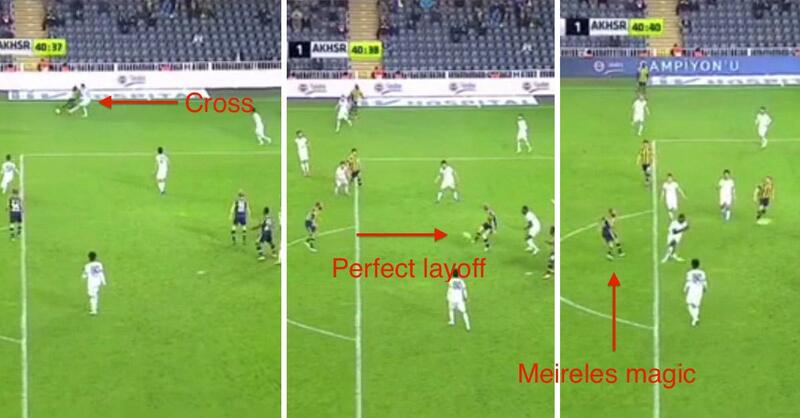 Watch match highlights of Fenerbahce 1 – Akhisar 2 below.